A British pilot has been killed after his helicopter was fired at by elephant poachers in Tanzania. Roger Gower was flying a helicopter taking part in an operation to track and arrest poachers when it came under fire, the Friedkin Conservation Fund said. “We are profoundly saddened by the loss of our dear friend,” the organisation’s chairman Dan Friedkin said. According to Lazaro Nyalandu, Tanzania’s former minister for Natural Resources and Tourism, Mr Gower managed to land the helicopter, but died before rescuers could reach him. “Capt Roger, a British national, was shot mid air by poachers AK47, managed to land his chopper but sadly died before his rescue last night,” he tweeted. “Those poachers who killed Capt Roger are coward, evil, and sad people. A fine hearted individual gone too soon, and our hearts are broken. Local journalist Lucy Taylor told Sky News that Mr Gower was deployed after two elephants were found dead in the Maswa game reserve, which forms part of the Serengeti national park. She said he came across a third elephant, which had only recently been killed, when a poacher shot at the aircraft. Only one shot is reported to have been fired, although it went through the floor of the helicopter and through Mr Gower’s leg and part of his shoulder. 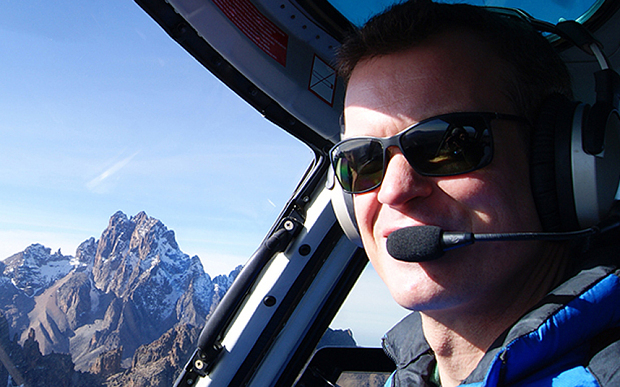 On its website, the air charter company Tropic Air Kenya said Mr Gower worked as one of its helicopter pilots. “In addition to pilot-guiding many helicopter safaris and excursions, Roger has been the key pilot allocated to supporting the British Army battle groups in Northern Kenya, with tasks that include clearing live firing ranges, and carrying out medical evacuations,” it said. It said he moved to East Africa in 2008. Mr Gower is reported to have worked as an accountant before qualifying as a pilot in 2004.